Jesus was a feminist. Webster’s definition of a feminist is someone who participates in organized activity on behalf of women’s rights and interests. This is exactly what Jesus did. He respected, valued and loved women, and wanted to raise them up out of the horrible living conditions they faced in the first century A. D. One of the best places to go to see what Jesus thought of women, and how He treated them is the book of Luke. Of the four Gospels, Luke says the most about how Jesus interacted with women. There are more women in the Gospel of Luke than in any other Gospel. The home of Mary and Martha of Bethany has special importance in Luke (Luke 10:38ff). When Jesus is led to trial, the only recorded expression of lament or sorrow is by the women in the multitude that followed Jesus (Luke 23:28). It was the women who stayed at the cross (Luke 23:49), who brought spices to embalm Jesus (Luke 23:56), and who were present at the tomb when the first news of the resurrection was given (Luke 24:1). It is Luke who records Mary’s genealogy in Luke 3. And twice Luke describes women as having come with Jesus from Galilee (Luke 23:49, 55; 24:22) and it is only Luke that records the special role women played in the ministry of Jesus (Luke 8:1-3). It is this last aspect – the vital role women played in the ministry of Jesus – that we learn about in Luke 8:1-3. Luke 8:1 tells us the ministry Jesus carried out, and Luke 8:2-3 reveal some of the women who helped Jesus carry out this ministry, and how they helped Him. There is nothing new in this verse. Nothing that all of us don’t already know. Jesus came to this earth to seek and to save those who are lost. He came to bring a sinful world back into a loving relationship with God the Father. This was His task. This was His ministry. And He went about it with the twelve apostles. This is not new information to us either. Whenever we think about Jesus going throughout the region of Galilee and traveling down to Jerusalem, we always imagine the twelve disciples following behind Him or walking beside Him. Whenever someone paints pictures of Jesus walking along the road, or sitting at a meal, they always have the apostles with Jesus as well. But have you ever seen a painting of Jesus where there are several women with Him as well? I never have. 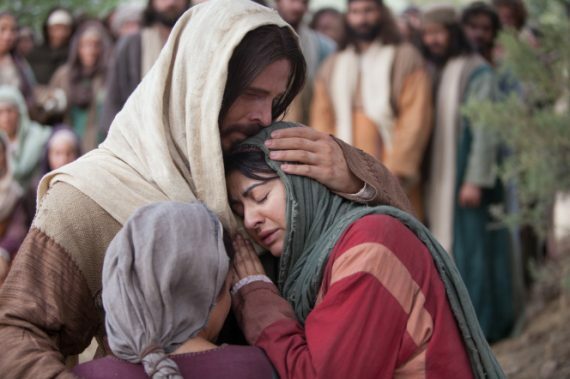 Even in the movies, when Jesus is teaching His disciples, or they are going to heal someone, or they are traveling down the road together, there are never any women with them. Sure, when Jesus is feeding the multitudes, or speaking to the crowds, there are always women among the throngs of people, but when Jesus is speaking just to his inner disciples, or when Jesus and his disciples are crossing the Sea of Galilee, all you ever see are men. So it is surprising for some to read in Luke 8 that there were many women who journeyed along with Jesus to help Him in His ministry. Luke 8:2-3 tells us about the ministry of these Maidens. Luke 8:2-3. … and certain women who had been healed of evil spirits and infirmities—Mary called Magdalene, out of whom had come seven demons, and Joanna the wife of Chuza, Herod’s steward, and Susanna, and many others who provided for Him from their substance. Notice first who these women were. We have three named directly, Mary Magdalene, Joanna the wife of Chuza, and Susanna. Luke 8:3 says there were many others as well. We don’t know who these others were, but what do we know about the three who are named here? The woman at the end of Luke 7 is different than Mary Magdalene. Mary was not a prostitute, but she did have her own problems. She had seven of them. Luke 8:2 indicates she had been possessed by seven demons. The Gospels do not tell us when or how this happened, but Mark 16:9 does at least tell us that it was Christ who cast the demons out of her. The name Magdalene indicates that she was from the vicinity of Magdala, which means “watchtower” and was a town south of Gennesaret by the Sea of Galilee. The most significant thing about Mary, however, is that she was the first one to see the empty tomb, and the first one to proclaim the message of Christ’s resurrection. The account is recorded in John 20. She is the one who first saw the empty tomb, and reported to the apostles that it was empty (John 20:1). After she tells the apostles that the tomb is empty, she goes back and stands outside the empty tomb weeping. As she does, she stoops over and looks into the tomb where she sees two angels. They ask her why she is crying, and she says it is because someone has stolen the body of her Lord (John 20:11-13). And I love what happens next. She turns away from them, and sees Jesus. But for whatever reason, she doesn’t recognize Him. Maybe her eyes are too full of tears. Maybe he is standing with the sun behind him, so all she sees is his silhouette. Maybe she is still bent over with grief and is looking at the ground and sees only his feet. Maybe she sees Him, but does not recognize Him in His new, glorified body. He says to her in John 20:15, “Woman, why are you weeping? What are you seeking?” Even when He speaks to her, she does not recognize Him, and so, thinking He is a gardener, asks where the body is. She says, “Sir, if You have carried Him away, tell me where You have laid Him, and Ill take Him away.” Do you sense the ache in her voice? The passion she had for Jesus? The longing she felt for Him? She had found someone who cared for her and loved her and nobody else in all the world could, and now that He had died, now that He had left her, she could not imagine life without Him. The greatest tragedy imaginable had happened to her when Jesus died, and she just wanted to give His body the proper care. Why do you love Jesus? It’s hard to say why I love Jesus the most. I love Him because He has given me eternal life and forgive me. I love Him because He’s my Master. I love Him because He is God. I love Him because He became human and experienced life and temptation just like I do. But I think I love Him the most because He is my teacher. When I first became a Christian, I loved Him. As I look back over my life, becoming a Christian is nothing compared to the surpassing greatness of knowing Jesus on a day to day basis, sitting at His feet to learn from Him, and letting Him speak to me by His Spirit and through Scripture. The blessings and joys of eternal life only get better and better the longer you are with Jesus and the longer you let Him teach you. What did Mary miss most about Jesus? His teaching. So now that He was back, that is what she calls Him: “Teacher!” And then John 20:17. A verse that confuses a lot of people, but needlessly so when you understand Jesus. She apparently, at the joy of seeing Jesus, goes and clings to Him. She wraps her arms around Him and hugs Him with all her might. What she thought she had lost, she now had regained, and she never wanted to lose Him again. And so Jesus says in verse 17, “Mary, do not cling to me, for I have not yet ascended to the My Father.” Do you remember what I told you about Jesus and His sense of humor? If you remember that Jesus has a sense of humor, a lot of confusing passages in Scripture make much more sense. John 20:17 is another example of the humor of Jesus. The last thing John says about Mary Magdalene is her hastening to the disciples to tell them she has seen the Lord (John 20:18). Mary Magdalene, once possessed by seven demons, became the first witness of Christ’s resurrection from the dead, and the first person in history to tell others the full and complete message of Christ’s power over sin and death. Her darkest moment in life, shedding tears at the tomb of Jesus Christ, became her greatest moment when Jesus appeared to her and commissioned her to be His first witness. Are you facing some dark moment? Some trial? Some fear? Go to Jesus. He will turn your trouble into triumph as He did with Mary Magdalene. She is the first woman mentioned in Luke 8:2-3. The second woman is Joanna, the wife of Chuza, who was Herod’s steward. The lesson here is just as much for us men, as it is for you ladies. So let’s look at Chuza first. We do not know much about Chuza, though some speculate that he is the one who taught Herod about Jesus. In Luke 9:7-9, Herod is confused about who Jesus is and what Jesus is doing. And so it may be that Joanna passed information about Jesus on to her husband, who in turn, passed it on to Herod. Being the steward in Herod’s household meant that Chuza would have been fairly rich. And as such, he apparently allowed his wife, Joanna, to follow Jesus around the countryside, and provide for his needs. Men, do you understand what this means? Chuza allowed his wife to use his hard earned money to serve Jesus. And not just Jesus, but everyone who followed Jesus. The twelve apostles, and all the others who went about with him too. Imagine the expense of providing food for probably 20 or more people every single day! Listen men. Our wives are inherently more spiritually minded than we are. It’s a psychological fact. I don’t know why God did it this way, but He somehow wired women to be more in tune with spiritual matters than men. Yet curiously, God wants the men to be the spiritual leaders in the home. And we struggle with this. Most of us, most of the time, shirk our responsibility to disciple our wives. But let me tell you men something. One of the ways you can be a spiritual leader in your home is to make sure your wife has enough time and money to pursue her spiritual interests. I am not trying to excuse your responsibility to lead your wife into devotions, but one thing you can do is make sure your wife has time at night or during the day to read her Bible and pray and memorize Scripture the way she wants to. You need to let her buy good Christian books to read and good Christian music to listen to. And if this means you don’t buy that new fishing rod you want, then so be it. If this means you wash the dishes and vacuum the living room at night so she can spend time with Jesus, then so be it. Chuza gave his wife the time and money she needed to follow Jesus and provide for his needs and the needs of those who followed Him. And ladies, here’s the lesson for you. We do not know what kind of spiritual leader Chuza was. I don’t know what kind of spiritual leader your husband is. I am encouraged that many of the men in this church are attending the Sunday school class about praying for your wives. That’s encouraging. But my guess is that most of you women wish your husband did more at home to be a spiritual leader. Instead, he’s always out in the woods. Or he’s always in front of the television. Or he’s always tinkering with his car. Listen ladies, your husband, no matter what he does spiritually at home, will never meet all your needs spiritually. I don’t care if he has daily devotions with you and your children every day for an hour, and prays with you daily, and comes to church with you weekly. Your husband will never be all that you need him to be spiritually. If you try to get him to be, he will only disappoint you. If you remind him constantly about how he is not being a spiritual leader, that will only cause frustration and arguments. I am not trying to give your husband excuses. What I am saying is that first and foremost, you need to be like Mary, and Joanna and Susanna, and come to Jesus for your primary spiritual nourishment. I do not know what kind of marriage Joanna and Chuza had. But we do know one thing about each of them. First, Chuza let Joanna use his hard earned money to follow Jesus and support His work. And second, Joanna knew that whatever kind of spiritual leader Chuza was at home, her primary spiritual leader was Jesus Christ. The only other thing we know about Joanna is that she was with Mary Magdalene in Luke 24:10 when they prepare Jesus for burial. Joanna probably purchased the very expensive spices which were used in the burial clothing. Even in Christ’s death, Joanna was there to love, serve and honor Christ. The final woman mentioned by name is Susanna. Other than this, we know nothing about her from the Bible, except for one thing. Her name means “Lily.” Lily, or Susanna, was one of the women who followed Jesus because she loved Him and had been healed by Him. Luke 8:2-3 says that all three of these women, and many others, had been healed by Jesus of evil spirits and infirmities. They came to Him and received love and acceptance and healing they had not found anywhere else. And I don’t think it is an accident that this passage is placed right after Luke 7:36-50 where we saw another woman come to Jesus for love and forgiveness that she could not receive anywhere else. And do you remember the lesson of Luke 7:36-50? Most of us are like Simon the Pharisee, looking down on women like these. We think that we are better than the sinful woman, than Mary Magdalene, than Joanna, than Susanna. They were sinful women. They had evil spirits. They had infirmities. But what was the lesson of Luke 7:36-50? We have no right to judge them, or look down on them, for we are just like them. In fact, we are worse than these women, for we think we are better, when in fact we are not. Their sins may be obvious to everyone, but ours are worse, because they are sins of pride, of arrogance, and of self-righteousness. Let us not look down on the Marys, the Joannas and the Susannas. They are serving Jesus in ways we have never thought of or considered because we are too busy having our little dinner parties for Jesus. The last part of Luke 8:3 tells us what we should be doing with our time and money. We should be doing what these women were doing. What is it they were doing? They loved Christ so much, they served Him and His followers out of their substance. Did Jesus need their service? No. Did He need their food? No. If Jesus had wanted to, He could have carried a piece of bread around in his pocket, and any time He and His apostles got hungry, He could have just multiplied that piece of bread into a basket full. This is what He did at other times, why couldn’t He do it all the time? The answer is that He could have. So why didn’t He? Because if there is one thing Jesus enjoys more than providing for people, it is when people provide for Him because they love Him. He doesn’t need such provision, but He loves to receive it. It gives Him great joy to be loved. The more I learn about Jesus, and the people who followed Him, the more convinced I am that people do not follow Him to serve Him, they follow Him because they are deeply in love with Him. We often hear it said today, and I have preached it myself, that every Christian ought to have a ministry in church. However, as I learn more and more about Jesus, I am not so sure. Take these women for example. I doubt very much that they followed Jesus in order to “have a ministry.” They did not become a Christian and then say, “OK, what can I do as a ministry?” No. Far from it. They followed Jesus just because they loved Him. They followed Jesus just for the opportunity to be with Him. Do you see? They are not looking for a ministry to fill. Nor was Jesus out there trying to recruit people for the “Feed the Hungry Apostles” ministry. No, the women just loved Jesus, and as they spent time with Him, they saw a need, and thought, “Hey, I can fill that need.” And so they did. These women had been delivered from so much – evil spirits, diseases, sicknesses, infirmities, and sins. As a result, they loved Him with all of their hearts, soul, mind, strength and possessions. Some of them were rich. Some of them were talented cooks. Some of them just liked to serve. And it all came together out of love to provide for a tangible need. There were no guilt trips. No arm twisting. No calls for volunteers. Just people who loved Jesus, saw a need, and stepped up to meet that need. And as such, do you see what happened? We come back to Luke 8:1. Jesus went through every city and village preaching and teaching the glad tidings of the kingdom of God. The loving service of the women was foundational to this. Jesus preached because they provided. We all talk so much about Jesus’ ministry, but Luke 8:1-3 reveals that His preaching and teaching ministry may have been greatly hindered if women had not provided for His daily needs and those of His apostles. Jesus feels women are vital to all ministry. Sure, they may not be the up front, in the limelight individuals getting the praise, glory and attention, but if it weren’t for the real ministry behind the scenes, no ministry would get off the ground. So whether you are a man or a woman trying to serve Jesus out of love for Him, but you feel shoved to side, forgotten, ignored and neglected, remember this: Jesus says that when you do good, do not let your left hand know what your right hand is doing. Do not do your good deeds in the sight of men in order to be seen by men. If you serve to receive the praise of men, such praise will be all the reward you get. But if you serve quietly and patiently like Mary, Joanna and Susanna, great will be your reward from God. Seek His praise, His favor, His honor, for He sees all, and you will hear the words, “Well done, good and faithful servant.” That’s what these three women have heard in heaven, and if it weren’t for Luke 8:1-3, we never would have known what they did until we got to heaven. But God saw fit to record their service in Scripture. While Jesus went around serving others, we never read of Him letting anyone serve Him – except for women. The only people we ever read about who served Jesus are women. Does this mean that Jesus saw women only as servants and slaves? Did he receive service from women and not from men because that was a woman’s place, and since He was a man, He needed to be served by women? No, far from it. The entire Gospel of Mark is about Jesus as a servant. It is about the servant who leads and the leaders who serves. In Mark 10:43-45, Jesus makes some shocking statements about service. He says that those who want to be great must should be a servant, and those who want to be first must be a slave. This doesn’t mean, as some have taught, that in order to become great, you must start at the bottom and work your way up. No, Jesus is saying that greatness is in serving. He is teaching that in God’s economy, the best position is the lowest. That is why Jesus, when He came to earth, He came, not to reign and rule, not to beat us all over the head and put us in line, He came not to be served, but to serve. And if it weren’t for Luke 8:1-3, we would think that this is exactly what happened. Everywhere we turn in the Gospels, we read of Him serving the crowds, and meeting the needs of the sick. We read of Him providing for the hungry, teaching His disciples. Give, give, give, serve, serve, serve. He is showing what true greatness is. We never read of Him taking anything from anyone, or receiving any kind of service from anybody – except from women. While He washes other people’s feet, He lets women wash His. Though He feeds 5000, He allows women to feed Him. 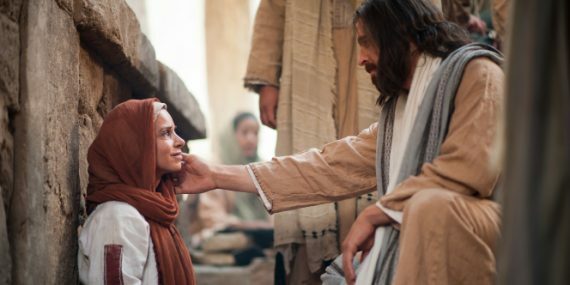 If greatness means serving, and Jesus was the greatest person ever on the face of the earth, what does it mean when He allows women to serve Him? No men ever had that privilege. Only women. It does not reveal His low view of women. Just the opposite. In His own words, the greatest among you will be the servant. Jesus was the first feminist, and the modern feminist movement has it all backwards. You don’t become great by becoming like men. Greatness is not found in ruling and building and hoarding and collecting. All that stuff is going to burn and rust. Greatness is not found in such things. Greatness is found in service. The modern feminist movement is wrong. In fact, men are wrong too. Greatness is not found in acting or behaving like a man. There is nothing inherently great about being a man, and there is nothing inherently great about being a woman. There is nothing wrong with being a man and there is nothing wrong with being a woman either. Here’s where greatness is found – understand who God has made you and what gifts and talents you have, then using that understanding to serve others. I do not care if you are man or a woman. I don’t care if you are young or old. I don’t care how much money you have, or how much education you have. God wants you just as you are for greatness through serving. This is why Jesus was a feminist. Women in his day were being mistreated and abused by men. They were now allowed to be women, but were instead forced into believing they were nothing more than a piece of livestock. Women were not valued as women. Today, we have the same thing. Women are not valued as women. Modern feminists don’t want women to be women, they want women to be men, and men to be women. They want to erase the distinctions. They want men and women to be equal in all ways. Well, men and women are equal; but we’re also different. Jesus wants men to be men and women to be women. There’s nothing wrong with being either. And when we recognize ourselves for who we are, and the different strengths and abilities God has given to us as men and women, we are then free to use those strengths and abilities to love, serve and honor Him. Whether you are a man or a woman, that’s where greatness comes from. Mary Magdalene, Joanna and Susanna were great, not because they became like men, but because they loved Jesus and served Him with their time, talents, and resources. That is true femininity. In a way, we could say that women are responsible for the ministry of Jesus. If it had not been for their support and care, would Jesus and His apostles been able to travel around as they did, preaching, teaching, and performing miracles? It seems unlikely. Similarly, if the church is to survive and thrive in the future, we must invite more women to get involved, not just in the serving ministries of the church, but also in the teaching ministries. One reason, I believe, that Christian theology is so skewed is because the church has far too often silenced the theological insights of women. Weigh in below about your perspectives on women and the church. Maybe … by today’s definition of feminism. One of the greatest comment I can make is Jesus Came to serve and as ambassadors of Christ we are his Servants called to witness to others about the Kingdom of God in love. Whether male or female we all need to know how to serve just as he did.